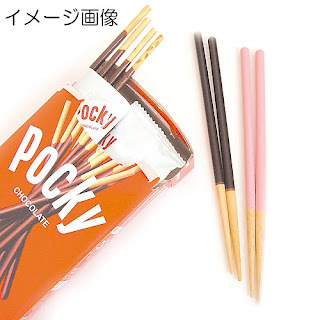 A Rinkya Blog: Pocky Chopsticks! Who doesn't love Pocky?? Pocky is a great treat from Japan, and these chopsticks celebrate the yummy candy! Available in both strawberry and chocolate! Organ Pouch Designs From Japan- Eww! Art Heat Activated Cup Designs! Baobab Pepsi- Japan's Annual Summer Release!! Twilight's Edward Cullen Chou Rare Ad Poster YJ! Mickey Mouse Ipod Iphone Charger! Got an Extra $3400? Get Your Own 5 Foot Gundam! Angelic Pretty- Wasabi YJ! Auctions!